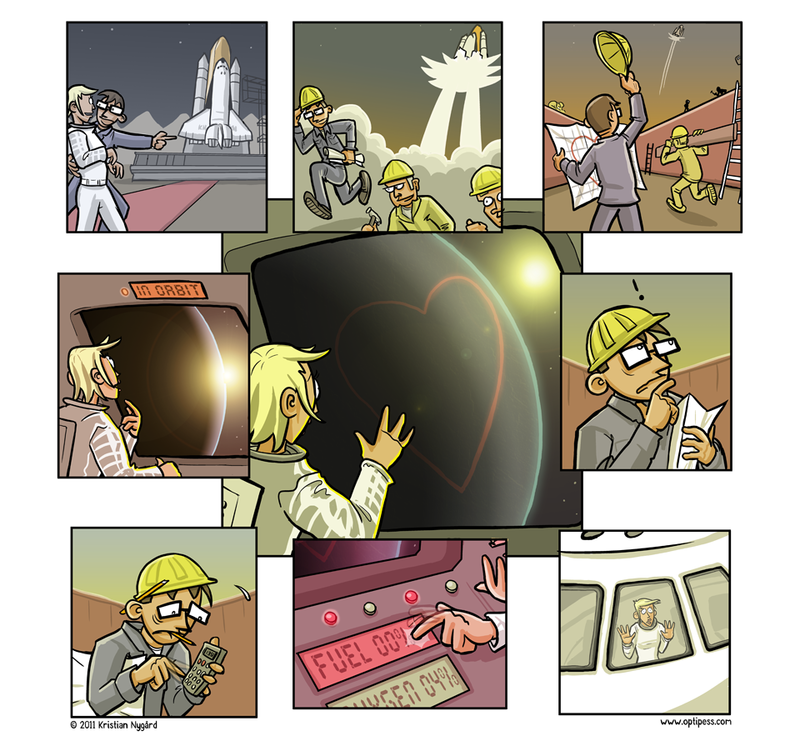 Oh, NASA… Much like this launch technique, this strip ended up a bit “experimental”. Hopefully it still makes sense! Yup, every animal in this strip was extensively Googled and researched. Hopefully the weeks and months reading about ostriches and penguins paid off! Ouch! But this arrangement could come in handy, though. For one it would make it a whole lot easier to plan ahead on your procrastination. Oof, I once vowed to never draw a motorcycle ever again… Actually it wasn’t too bad, but they’re on my “avoid” list (along with bicycles) – with good reason! Hopefully this game is well known internationally and not just a Scandinavian phenomenon. Here, though, it’s the pinnacle of backyard summertime entertainment. What, October already? Where did June go? June 1989, that is. Oh well, here’s a comic strip to collectively cheer ourselves up. Ah, those wacky astronauts and their silly shenanigans!